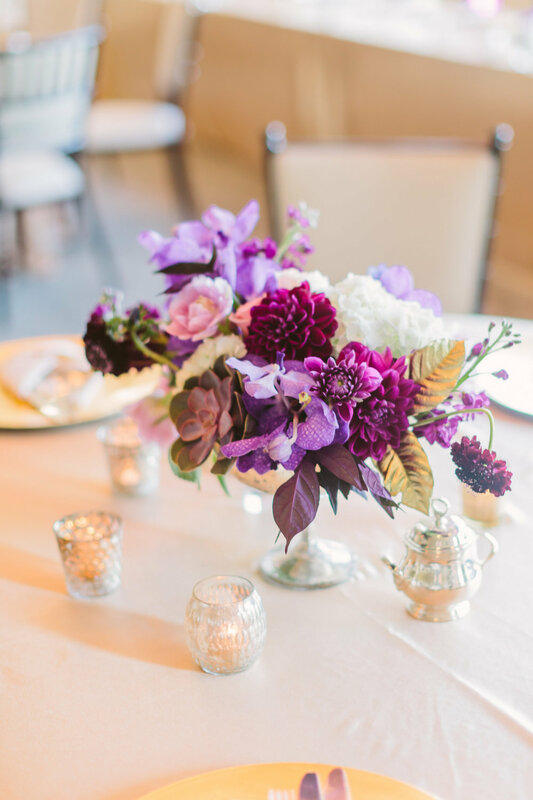 Over the many years that I have been a wedding florist I have found that for many brides your vision for your wedding florals do not always align perfectly with your floral budget. I get it, we all have budgets. It’s just a part of life and your wedding day is no exception. So where do you start? You probably have a pinterest board or two dripping with beautiful images of flowers but you have no idea what those flowers are, or if they are in season, or how much they cost. 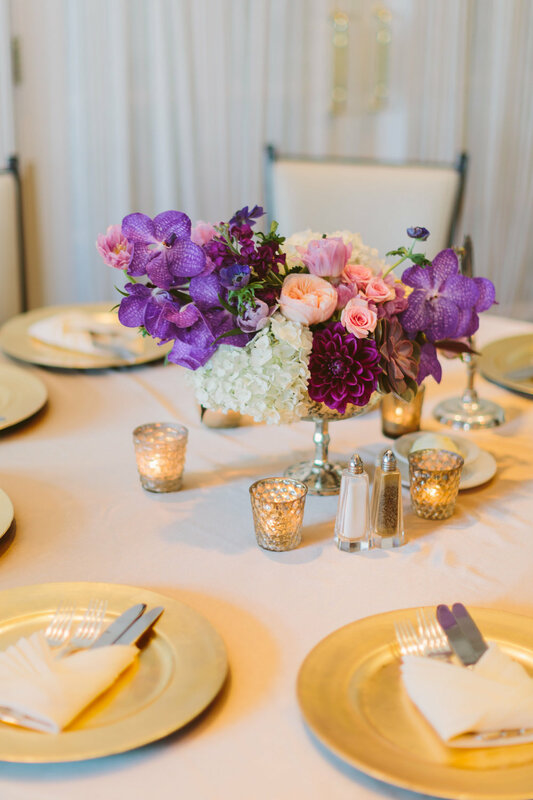 No worries, I’m here to help ensure you get stunning floral designs for your wedding day without tossing the budget out the window. 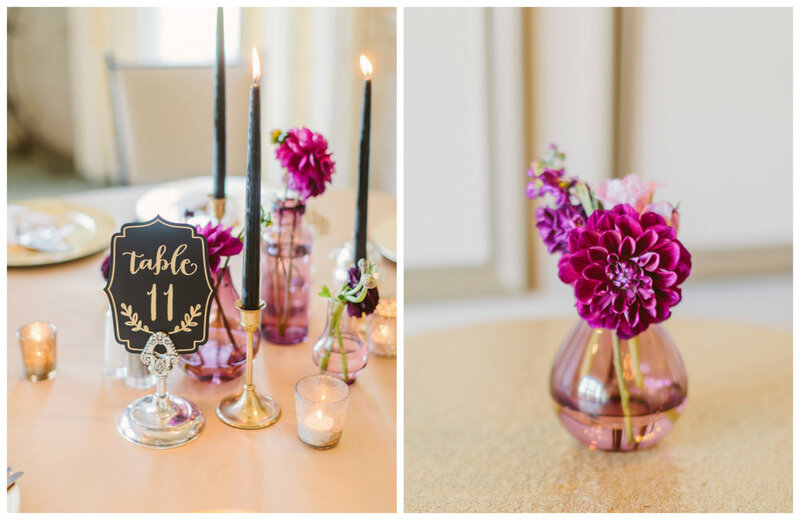 Today I’m sharing my TOP FIVE SECRETS to maximize those flower dollars for your wedding day. Decide what is important to you. Choose your “WOW” moments. This is different for everyone. Pick one to three things that are the most important to you and focus on those items first. 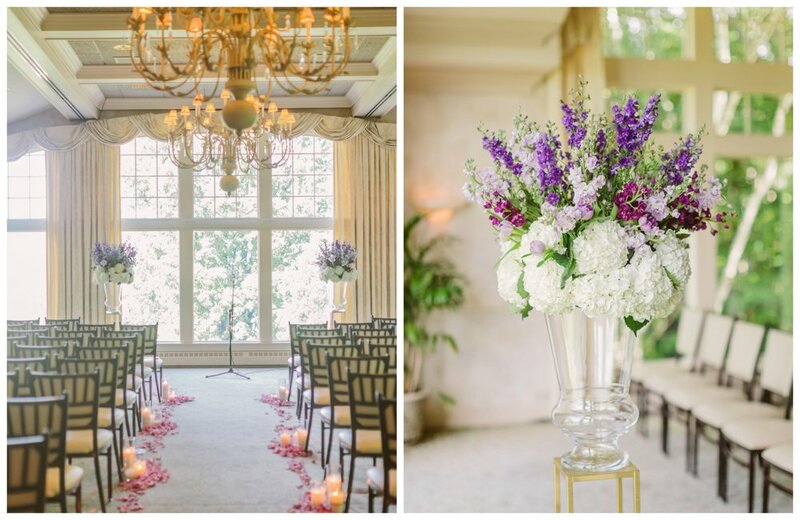 -If you have been dreaming about a show-stopping hanging installation at your reception OR you really love all the big overflowing bountiful bouquets you’ve been seeing on pinterest and instagram then you absolutely should GET THAT. Don’t compromise on the things you really want. Just know that you may have to give up on something else in return. -Keep in mind, whatever you don’t choose, most likely, no one will notice is missing as long as everything that you DO choose is perfect, intentional and executed beautifully. It’s great to have a few favorite blooms but if you can be flexible on the overall selection you’ll get the most out of your floral dollars. Hands down, the bride who is willing to be flexible with her floral choices as well as trusting her designer to carry out her vision will be able to make better use of her budget vs micromanaging every selection and design choice. TIP: Trust is hard, I get that. But use tools like instagram to get to know your vendors, see their past work and their overall style and decide if this resonates with you. If you like what you see then chances are you’ll love your bouquet come wedding day. FACT - Peonies direct from Holland can be much more economical than peonies from a local flower farmer. Many times people hear “Holland” and get scared about the price tag but really the world is so interconnected now that global commerce is an everyday part of life and thats true for flowers also. FACT - Locally grown flowers and in season flowers are just MORE PRETTY. Period. And have less of a carbon footprint so definitely use them whenever possible but don’t plan your budget around local being less. Consider limiting your floral selection. Use one, two or up to three different flowers in your design so you can accomplish a more abundant look out of your florals. 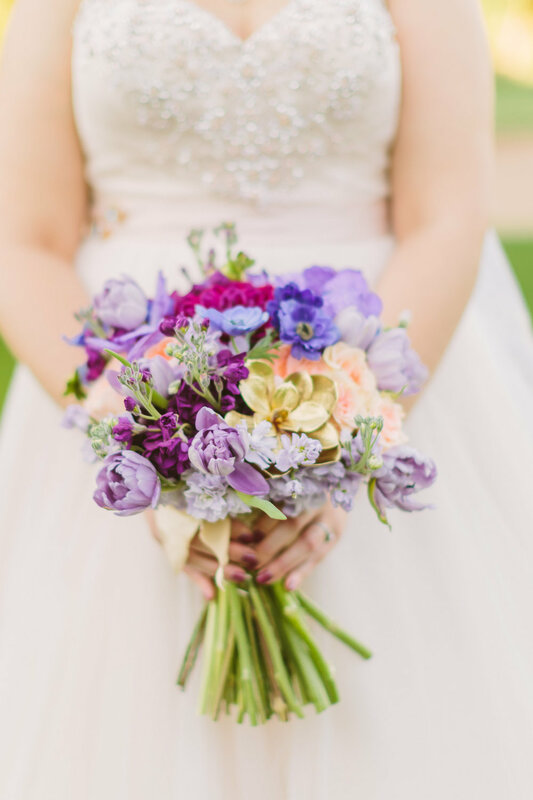 The more floral varieties that are in your bouquet the more your flowers will cost because your florist will have to purchase many individual bunches of flowers to achieve that look. For instance, think about it this way: One bunch of spray roses vs ten bunches of spray roses (a whole box from the grower) is going to cost about 20-25% less wholesale so your florist will have those extra dollars to spend on more blooms for your centerpieces. This is true for some flowers, though not all. 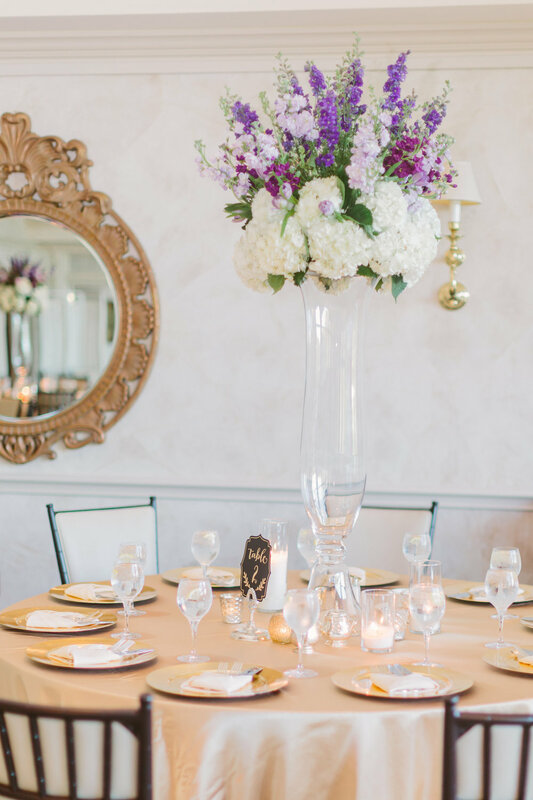 TIP: This type of look lends itself well to a clean-lined modern aesthetic or a classic, timeless style, like the one below, where your bouquets and centerpieces focus on a few classic, natural elements mixed with some seasonal foliages perhaps. The latest big trend to hit the wedding floral industry has been the greenery and foliage trend. So let’s talk GARLAND. To garland or not to garland. Your loving all those beautiful rustic and warm, candlelit tables featuring a lush garland of eucalyptus winding down the farmhouse table. Am I right? Yep, it’s pretty magical and it looks so “simple” but the sticker shock behind garland is real. The reason it’s so pricey is due to the amount of product it takes to make it combined with the time consuming labor behind creating it. There are a few ways around this popular trend that I suggest to many of my clients. The first is to ask your florist for a “hand-laid” garland vs a single strand garland which will be more airy and less full but also more whimsical and natural in many ways. Also, be open to the greenery you choose. The demand and popularity of eucalyptus has been so large that the product can often be more expensive and of lesser quality because the farms are just trying to keep up with demand. TIP: Ask your florist what they recommend or if there is something they have seen that they really like using lately. I’ve been crushing on wild smilax lately for large scale installations and in lieu of garland I’ve been loving confederate jasmine vines (seen below amidst abundant candles) winding down long tables. I hope this helps you as you begin planning for your wedding flowers! I guess if I can leave you with one last tip it would be to choose a designer who GETS you. Someone who you feel is genuine, open and honest about pricing. Someone who works with flowers for the joy of harnessing beauty out of nature and not just as a business transaction. 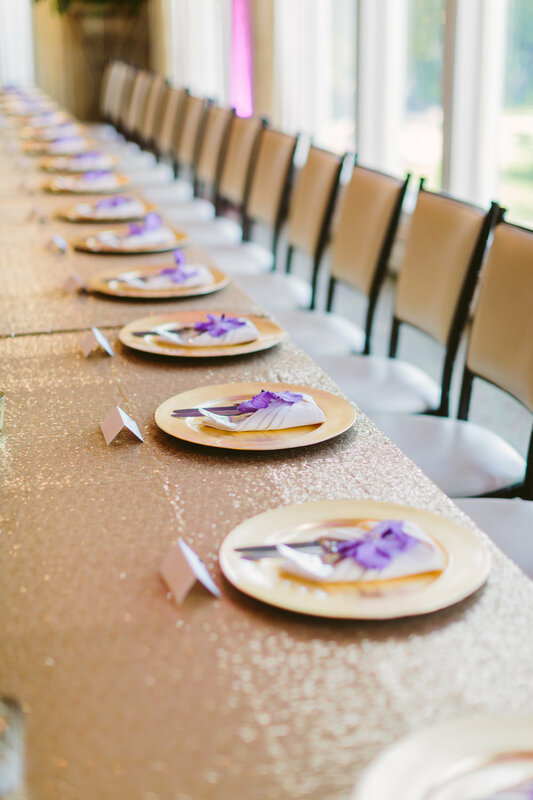 If you would like to schedule a complimentary consultation with Ebb & Flow for your wedding day please click HERE and tell us more about your big day! Thats right, we are doing it again!!! yay! Happy dance, dance party! This year we are doing our second edition of our huge Wedding Giveaway for one lucky couple in the Wisconsin area! Last year we set out to create a different way for all those styled shoot budgets we have as florists to go to a better use. One where all of our efforts, costs and beautiful floral blooms are actually enjoyed by people. In real life. Not just on computer screens. And last years wedding did just that! 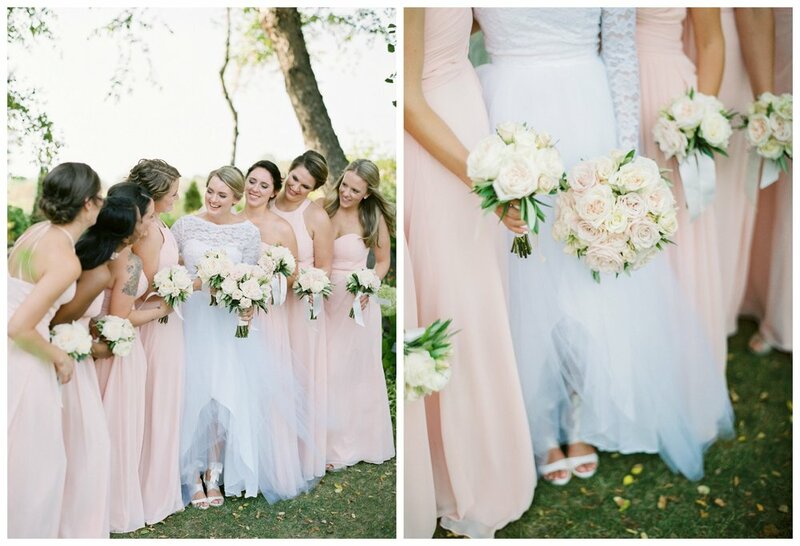 Plus, it was also featured in Wisconsin Bride Magazine! 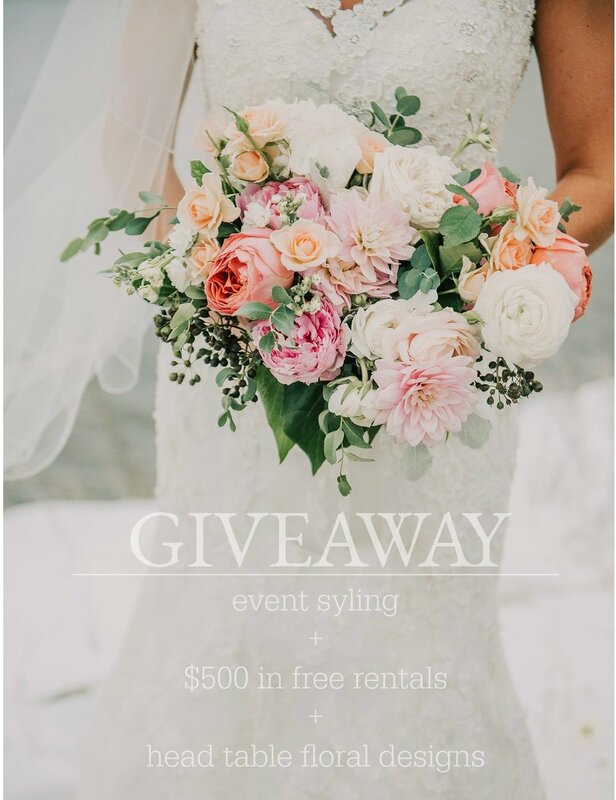 See Below for more details on how to enter and then head over to view the gallery from Abby and Zachs wedding day, last years Wedding Giveaway Winner! -Share your wedding pinterest board with us. You will need to follow us here first. -You must be following us on instagram, like and tag someone in the comments of our instagram Giveaway post. -Current brides under contract with Ebb & Flow are not eligible. -Travel expenses will be applied to weddings 100 miles outside of Green Bay area. -The winner will be chosen and announced on March 1st 2019. The lucky couple will be chosen based on their reason for entering, their story and their inspiration board! We are so excited to announce this amazing opportunity for all engaged couples in the Wisconsin area! This giveaway has been an idea I have had bouncing around in my head for over a year now but just couldn't figure out the logistics of it all... Well, I decided to go for it this year and I hope to do this once a year every year for many years to come. I started Ebb & Flow five years ago and would not have believed how fast my business has grown in that time. As a way of giving back and saying thank you I am thrilled to announce our inaugural and annual Wedding Giveaway! -Share your wedding pinterest board with us. You will need to follow us here first. Then if your board is secret you will need to invite us to view it. -Travel expenses will be applied to weddings 120 miles outside of Green Bay area. -The winner will be chosen and announced on March 1st 2018. The lucky couple will be chosen based on their reason for entering, their story and their inspiration board. I can't wait to hear from you and learn more about your love story! It's already been one year! Let's look back on Christi & Patrick's special day! September 17th, 2016. Photographer: Shaunae Teske. Venue: Oneida Golf & Country Club. Planning: Sash & Bow.